I’ve been looking for Mrs. Protein Fields for close to a year now. I still haven’t found her. Who’s Mrs. Protein Fields? She’s the perfect protein cookie: soft yet subtly crunchy, mildly chewy in that m-mm-mmm-way, protein-packed, sugarless, low-fattish and out-of-this-WORLD-sublime. Mrs. 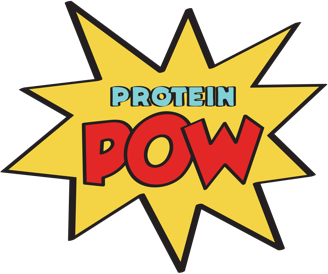 Protein Fields is cousin to American Mrs. Fields, to British Ben and to British Millie. Have you seen her? Because I’ve yet to find her. The first place I looked for her was in this recipe but she wasn’t there so I continued looking. I concocted another recipe in hope to find a clue but still – nada, no sign of Mrs. Protein Fields. A few months back, I got a tip-off where she might be and, full of excitement, I came up with this beast of a cookie recipe. It yielded my best protein cookies to date (besides the Protein Oreos!) but, while crazy good, they weren’t Mrs. Protein Fielden enough. Blended together and baked on a cookie tray. Prior to baking the above, I tried the batter and it was SO good. It made me think about just leaving it as a pudding but then I thought naaah because it was cookies I was after so cookies it had to be. What were they like at the end? Well, they were cookiecakey – not crunchy. They were too light. Very cinnamonrollish in flavor but not crunchy enough to be proper cookies, more like cookiebreads really. That’s why I brought out the crunchy peanut butter and turned them into cookie sandwiches (kind of like these ones from back in the day!) As cookies? 7 out of 10. As peanut butter cookiebread sandwiches (which incidentally look SloppyJoean)? a solid 10 out of 10! This is why I love creative outside the box thinking – because it turns suboptimal efforts into superoptimal boooms! Next time I’m adding coconut oil and/or actual butter, substituting the whey for a pea or brown rice protein, adding some chestnut or oatflour in there, using a whole bunch of vanilla, aaaand again hoping to open the oven and find her – because Mrs. Protein Fields not only might but WILL be found.